Medicaid is a joint State/Federal health insurance program that is administered by the State. It provides health coverage for low-income individuals, especially pregnant women, children and the disabled. The Division of Welfare and Supportive Services (DWSS) determines eligibility for the Medicaid program. 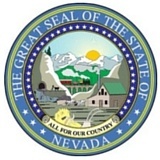 Nevada has chosen to expand Medicaid. If your income is under 138% of the Federal Poverty Level (see Health Insurance subsidy chart – CLICK HERE), and you are under age 65, you may qualify for Medicaid. See the list of available agencies below to help with applying. We are sorry, but we can’t assist in the enrollment into Medicaid due to it being a State program. Information regarding eligibility is available online (click the button below) or by calling Toll Free (855) 768-5465. This information is provided as a courtesy. We do not guarantee it’s accuracy.